If you’ve always felt you missed out on braces as a teenager, or you’ve noticed your teeth becoming more crowded in recent years, you don’t have to put up with crooked teeth – or resign yourself to unsightly metal braces. With Invisalign, our specialist orthodontist, James Grant can offer a solution that is completely metal-free. Invisalign’s revolutionary, removable system of near-invisible aligners allows you to get the dental treatment you need without anyone noticing. If you’re interested in getting Invisalign in Surrey, book an Invisalign consultation at Stricklands Dental Fitness Centre and let’s start the journey together. If your lifestyle means that conspicuous metal braces are out of the question, our specialist orthodontist in Surrey can offer lingual braces as a discreet solution. Lingual braces work just like fixed metal braces – except that they are attached to the tongue-facing side of your teeth, so they are almost completely hidden from view. 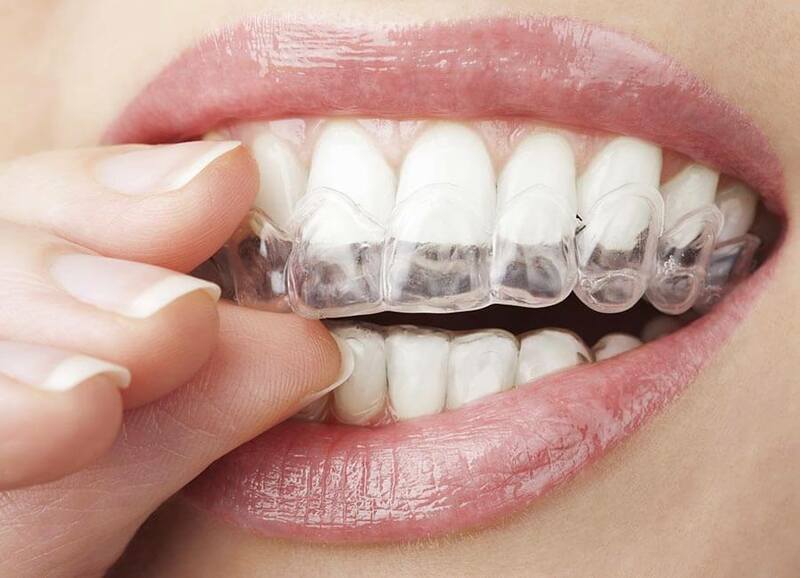 Unlike cosmetic brace systems that only address problems with the front ‘smiling’ teeth, lingual braces are suitable for a wider range of orthodontic problems, including malocclusion, or a bad bite. There is a reason traditional metal braces have been used for so many decades – they enable dentists to precisely control the movement of teeth, and deliver predictable results. Fixed metal braces – which are available with white or coloured brackets – offer a cost-effective solution for younger patients, and are ideal for adults whose orthodontic needs cannot be treated using cosmetic braces. At Stricklands Dental Fitness Centre, our specialist orthodontist will recommend the best solution for your needs. Where appropriate, we also offer early orthodontic assessments and treatment for children aged around seven years old, which can often reduce or eliminate the need for braces in the future. James Grant trained at Guy's Hospital and qualified as a dentist in 2001. He became a member of the Faculty of Dental Surgery (MFDS) in 2003. 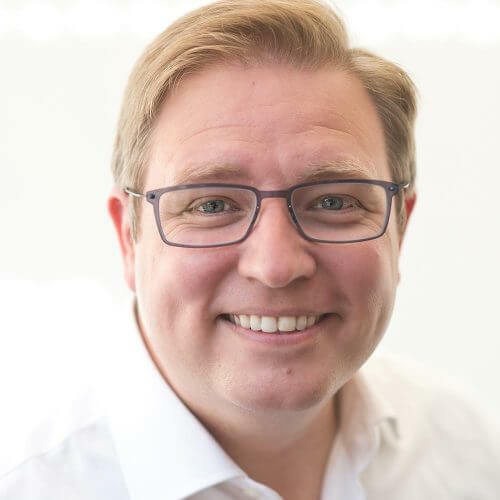 Following postgraduate orthodontic training at the Eastman Dental Hospital, James gained an MSc in Orthodontics in 2006 and qualified as specialist orthodontist (MOrth) in 2007. He became a fellow of the Royal College in 2009. From 2010 to 2018 he worked as Consultant Orthodontist at the Children’s Hospital, Brighton and is currently Consultant Orthodontist at Western Sussex Hospital Trust in Chichester and Worthing. James is married to Ruth and they have three children – Ed, Kiriana and Jonno. His hobbies include tennis, golf and rugby, though he only watches the latter nowadays! He also plays the guitar and enjoys the outdoor life. How do I know which brace system is right for me? At Stricklands Dental Fitness Centre, our patients have access to a consultant specialist orthodontist – so you can be sure you or your child will get the most up-to-date advice on the treatment that is most likely to deliver the results you want. If your dentist agrees that you’re suitable for Invisalign, you’ll begin with a consultation during which you’ll be able to see a 3D time-lapse image of your teeth before, during and after treatment. You’ll need to sit for dental impressions, which will be sent to a lab so that your bespoke Invisalign retainers can be made. Then you simply wear the retainers for the prescribed amount of time, changing them every few weeks until your treatment is complete. How quickly can I expect results with Invisalign? 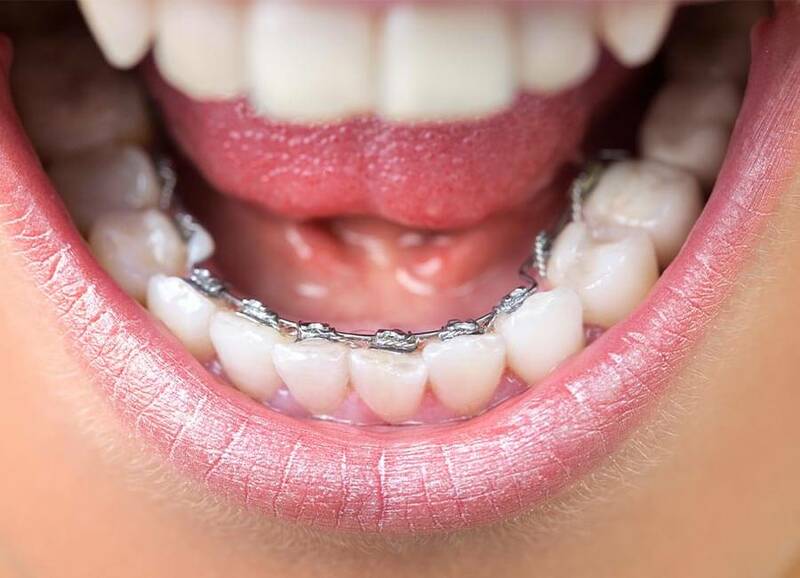 Lingual braces offer the best of all worlds – invisible, comfortable brackets and the ability to treat complex cases such as bite problems. The custom-made brackets hug your teeth to minimise discomfort. The system does feel strange in the mouth at first, but patients generally get used to it very quickly. Some patients may experience a slight lisp at first, but generally lingual braces don’t cause any major problems with speech.